At the end of June, the EU Commission ruled that Google’s product comparison search infringed on competition law, resulting in a hefty €2.45bn fine against the tech conglomerate. On the basis of this ruling, Google was forced to make considerable changes to their product search engine, which are set to go into effect today. The product search engine has since become a separate company that is now required to compete on equal terms with other online shops in Europe. Dubbed Google Shopping, the internal subsidiary is now independent from Google’s parent company, Alphabet, and must also pay a heavy price tag in order to appear in the stop spot in Google’s rankings. The company relies on the well-established system of AdWords, in which competitors can bid for specific search entries. 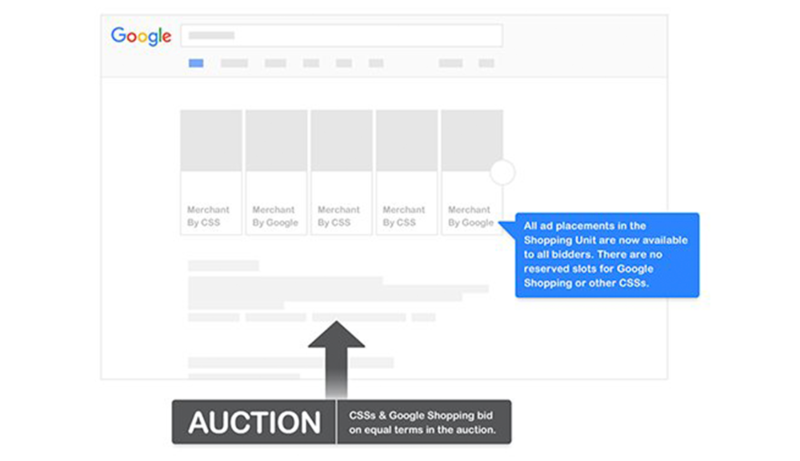 Now it is also possible for you to appear directly in the product search results, should you choose to bid a higher amount than Google itself. For the end user, the search results appear the same as always. Since the money is merely shifting within Google, the company must proceed cautiously and adhere to particularly strict rules. In order to ensure that Google Shopping does not simply offer huge sums and safeguard its exclusive place at the top, they are not allowed to spend more money advertising products than they earn themselves. The EU Commission will be closely monitoring Google over the next five years, with the opportunity to intervene should they detect any unfair practices. Every four months, Google is also required to submit a report that transparently shows key figures, including those from their competitors. Failing to adhere to the rules could once again turn into a very expensive ordeal for Google. As a shop owner, this ruling made by the European Commission is a great piece of good news. If you’re not already using Google Shopping for your online shop, you can easily get started by browsing the multitude of plugins already available in the Shopware Community Store. What are you waiting for? Start optimising your shop for Google Shopping today!